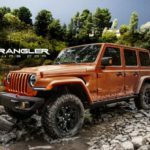 Doors open at 5:30 p.m., concert at 7 p.m.
June 12, 2015 , Morrison, Colorado – Jeep® vehicle owners and music enthusiasts are invited to join acclaimed rock band Panic! 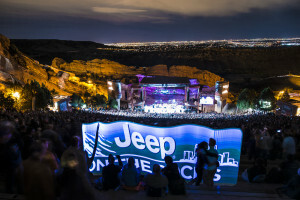 At the Disco and show openers American Authors and X Ambassadors to celebrate the end of summer under the stars at the legendary Red Rocks Amphitheatre for the Third Annual Jeep on the Rocks concert on October 10, 2015.“We are thrilled to have Panic! 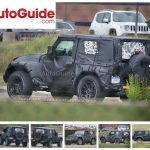 At the Disco headlining the Jeep on the Rocks concert,” said Steve Yandura, director of the Denver Business Center, FCA US LLC. “This show is always an amazing convergence of great live music, the historic Red Rocks Amphitheatre and the legendary Jeep brand in celebration of the end of summer.”In addition to Panic! At the Disco headlining, chart-topping “Best Day of My Life” performers American Authors and the X Ambassadors will open the show. 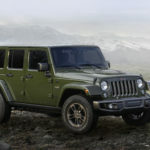 The X Ambassadors’ song “Renegade” was featured in the 2015 Super Bowl ad that launched the sale of the all-new 2015 Jeep Renegade compact SUV. 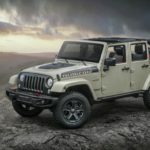 iHeartMedia Denver will promote Jeep on the Rocks to music fans across its multiple platforms, including broadcast stations, websites and social media. 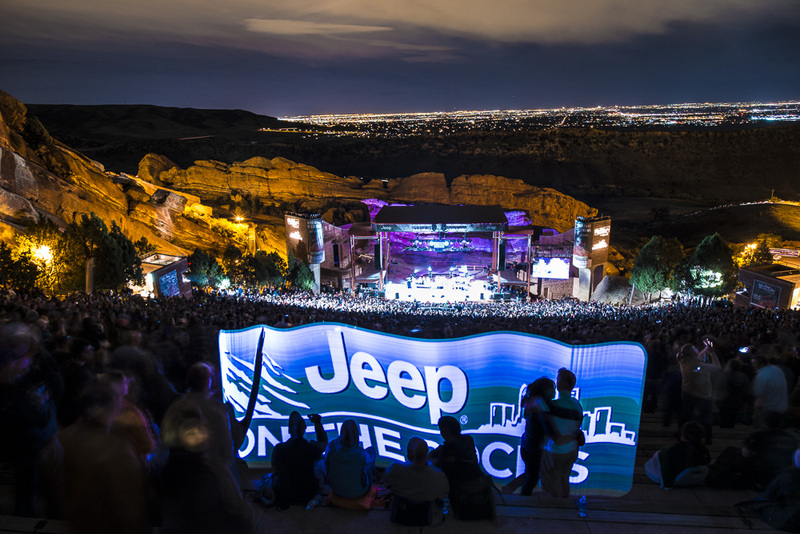 Tickets for Jeep on the Rocks go on sale at 10 a.m. Mountain Time Friday, June 12, and range in price from $39.50 for general admission to $59.50 for reserved seating plus applicable service fees and charges. 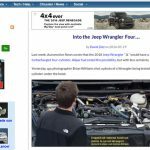 Jeep vehicle and music fans of all ages are welcome. To reserve seats, visit www.AXS.com or call (888) 929-7849. 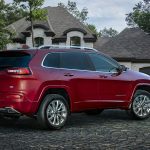 For Jeep vehicle owners there will be designated “Jeep Only” parking areas. Main doors to the Red Rocks Amphitheatre will open to concertgoers at 5:30 p.m., the show begins at 7 p.m. Mountain Time. Las Vegas’ Panic! At The Disco is an internationally acclaimed rock band. Their most recent single, “Hallelujah,” has accumulated over 3 million streams on Spotify and almost 3 million plays on YouTube within a month of release. The band’s fourth studio album, “Too Weird To Live, Too Rare to Die!” was released in October 2013 and debuted at No. 2 on the Billboard 200 Album Chart. The album’s lead single, “Miss Jackson (Feat. Lolo),” was certified gold and hit Top 10 on alternative radio outlets nationwide with over 19 million YouTube views to date, while the follow up single, “This Is Gospel,” has nearly 28 million views on YouTube. In the fall of 2013, the band hit the road with Fall Out Boy for The Save Rock and Roll Arena Tour. Next they set out on the sold out national headline Too Weird To Live, Too Rare To Die! Tour and the hugely successful The Gospel Tour, another headline tour. A four-piece alt-rock outfit based in Brooklyn, American Authors use their razor-sharp musicianship and natural mastery of song craft as a jumping-off point for sonic exploration. On their debut album “Oh, What a Life,” singer Zac Barnett, guitarist James Adam Shelley, bassist Dave Rublin and drummer Matt Sanchez weave in everything from hip-hop grooves and Afro-Latin rhythms to dance pop synths and Queen-inspired vocal harmonies — all while staying true to a rock ‘n’ roll energy and melodic sensibility that’s highly refined. Featuring their breakout hit song, “Best Day of My Life,” and follow-up single, “Believer,” the sunny yet soulful “Oh, What a Life” is also built on a magnetic sense of optimism that’s carried American Authors from their formation at Boston’s Berklee College of Music to their down-and-out early years in Brooklyn to their current status as an internationally touring band on an ever-growing rise. For more information about American Authors visit www.weareamericanauthors.com. For X Ambassadors, an unshakable sense of brotherhood has long shaped the sound and spirit of the band. Growing up in small-town upstate New York, front man Sam Harris, his brother, Casey, and childhood friend Noah Feldshuh bonded over an obsessive love for punk, rock ‘n’ roll, soul and hip-hop that defied the conventions of their peer group. Forming their first band in middle school, the three channeled their infatuation with artists as eclectic as The Stooges and The Staple Singers into a string of musical projects that sharply clashed with their local scene’s favoring of folk and country. After graduating high school and decamping to New York City in search of a greater music community, the Harris brothers and Noah joined up with L.A.-raised drummer Adam Levin — a move that helped X Ambassadors solidify their sound into a groove-fueled take on alt-pop, and ultimately land a deal with KIDinaKORNER/Interscope Records. Most recently, X Ambassadors teamed up with label mate Jamie N Commons and producer Alex Da Kid to write “Jungle,” a song that has become an unofficial anthem of the 2014 World Cup when it was included in the Beats by Dre “The Game Before The Game” commercial. For more information about X Ambassadors visit www.xambassadors.com. iHeartMedia Denver KTCL-FM; KPTT-FM; KBCO-FM; KRFX-FM; KBPI-FM; KHOW-AM; KZZN-AM; KOA-AM; and is part of iHeartMedia. With 245 million monthly listeners in the U.S., 97 million monthly digital uniques and 196 million monthly consumers of its Total Traffic and Weather Network, iHeartMedia has the largest reach of any radio or television outlet in America. 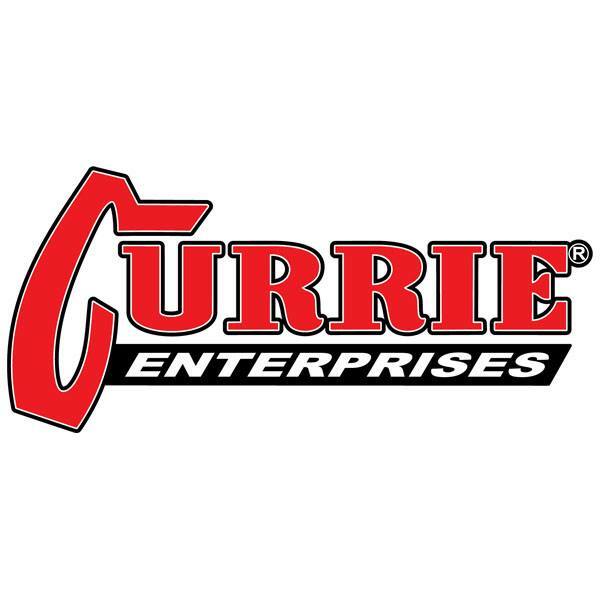 It serves over 150 markets through 858 owned radio stations, and the company’s radio stations and content can be heard on AM/FM, HD digital radio, satellite radio, on the Internet at iHeartRadio.com and on the company’s radio station websites, on the iHeartRadio mobile app, in enhanced auto dashes, on tablets and smartphones, and on gaming consoles. iHeartRadio, iHeartMedia’s digital radio platform, is the No. 1 all-in-one digital audio service with over 600 million downloads; it reached its first 20 million registered users faster than any digital service in Internet history and reached 70 million users faster than any other radio or digital music service and even faster than Facebook. The company’s operations include radio broadcasting, online, mobile, digital and social media, live concerts and events, syndication, music research services and independent media representation. Tagged jeep, panic at the disco, unlimited, Wrangler.